Filing a federal trademark application online looks easy. Just fill in the blanks in the online form, right? But it is not necessarily easy. Some errors are uncorrectable and can doom a trademark application. This is the first post in a multi-part series discussing the parts of a U.S. federal trademark application. In this post I’ll discuss the mark (the drawing) portion of the trademark application. Before filing a trademark application you should considered doing a trademark search. The mark/drawing section of the application is were you specify the mark that you want to register. You will have to choose between a standard character trademark or a special form trademark. If you intend to register a standard character trademark, then you need to know the words/characters of your mark. You can enter the words/characters of your mark in the USPTO form. You don’t need to worry about section 1-4 below. You can skip straight to section 5. If you intend to file a special form mark, you will have more work to do. A special form mark is one where a logo, font, style, color, or other graphical element is claimed as a feature of the mark in the application. First, you will need to have a JPG version of your mark having a height and a width each in the range of 250 to 944 pixels. The drawing should show the mark by itself and not together with packaging or product in the background (e.g. the STARBUCKS COFFEE drawing below does not include a coffee cup or adjacent advertising or products). A separate part of the application, called the specimen section, is were you provide evidence of the mark used on or in relation to the goods or services. The depiction of the mark in the mark/drawing section is how it will appear on the trademark registration certificate, if granted. What if you have a logo used together with the words/characters of your mark? Or what if you have the characters of your mark provided in a stylized form or font? Should you automatically register your mark as a special form mark? No. In many, but not all, cases the best course will be to register your mark as a standard character mark without any claim to a logo, style or font. Claiming a logo, font, or style element may cause problems maintaining the registration if you later change/redesign the logo or style elements. In other words, are you sure you will like the style or logo elements in 10 years, or will they need a design refresh? On the other hand, if the words/characters of your mark are weak, then you may want to include a logo or style elements to increase the chances of obtaining a registration on the Primary Register. There are several factors that you will want to consider in deciding whether to claim a logo, font, or style elements in your trademark application and whether you should pursue multiple trademark applications. Another issue that arises when claiming a special form mark is whether to include a claim of color. Generally, you probably do not want to make a claim of color, unless the color is very important. When color is not claimed, the registration will cover the mark presented in any color arrangement. If you do not intend to claim color as a feature of your mark, then the JPG version of your mark that you submit to the USPTO in the mark/drawing section cannot contain any color. Instead the features of your mark should be shown in black. If you are claiming color as a feature of your mark, then the JPG file should show your mark in color. It is important that the JPG file of the Mark (e.g. the drawing) is high quality and shows the mark without noise or graininess when applying to register a special form mark. The USPTO recommends that the image be between 300 and 350 DPI. The file showing the mark will be what is used when comparing your mark other potential conflicting marks. If a feature of the mark is difficult to distinguish due to poor file quality, this may be held against you as the trademark owner who uploaded the low quality version of the mark. If you choose to proceed with a special form mark, the USPTO will require that you describe the literal elements in the mark that are in the uploaded JPG file. Literal elements are the character(s) of the mark appear in the Trademark Office’s standard character set, which includes letters, numbers, and certain other symbols. 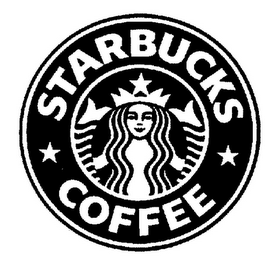 For example, in Starbucks’ Trademark Registration no. 3,907,157, shown at the right, the literal element is STARBUCKS COFFEE. Once your application is submitted changes to the mark are rarely allowed. Therefore, it is important that your mark is presented in the federal application exactly as you are (or will be) using the mark in your business. For example if your trademark has two words, will the words be used separated by a space or will they be run together? The application should include the mark in whichever way you intend to use it. Since you need to submit an example (a specimen) of the mark used on or in connection with the goods or services in addition to the drawing, the USPTO will check to see if your use of the mark matches the mark that you claimed in the mark/drawing section of the application. Further you should use the mark consistently (e.g. with a space or without) in all of your uses of the mark. Inconsistent use can negatively impact your trademark rights. Gathering and entering accurate information in a trademark application for a special form mark involves more work than for a standard character mark. The first decision that needs to be made in the application process is whether you should make a special form claim in the application. 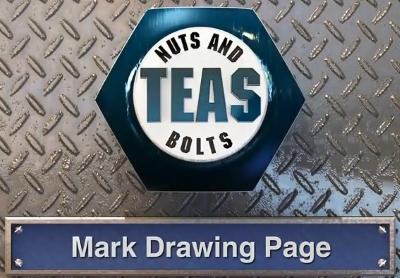 For more information on the mark/drawing section of the trademark application see the USPTO videos here and here. Lead image credit to USPTO here.